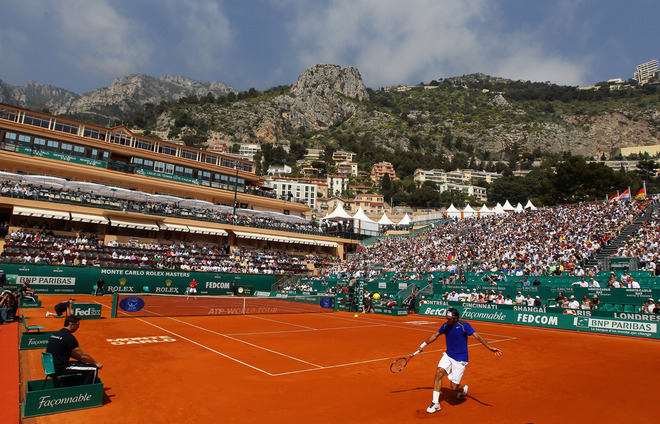 Roger kicked off his 2011 clay court season with a dominant performance in Monte Carlo earlier today, defeating Philipp Kohlschreiber 6-2 6-1 with precise shot-making, wrapping up the win in just 50 minutes. He outplayed Kohlschreiber from the start, breaking early in both sets and never letting up as he advances to the next round. After the match, Roger reflected on the match. “I was able to do all the things I wanted to. I was consistent. I could finish a point almost when I wanted to.” So its onto the next round for Federer. Check out the Monte Carlo photo album at FedererFan07 on Facebook a little later this week.